The 2017 Ford Edge integrates power, performance and handling with technology that inspires confidence behind the wheel. This SUV is perfect for an active family here in the Kootenays. The combination of space, technology and fuel efficiency means you can run errands with ease, go on a summer road-trip or take the kids to and from all of their activities. Kokanee Ford in Creston has lots of Ford Edge models to choose from. Click here to see our current inventory of 2017 Ford Edges. With three different engine choices, the Ford Edge provides you with more than enough attitude under the hood. You can choose between the turbocharged, direct-injection Twin-Scroll 2.0L Ecoboost engine, the powerful 3.5L Ti-VCT and the athletic 2.7L Ecoboost. These engines were designed, engineered and built to provide the power, performance and the fuel efficiency that every driver needs. You will also benefit from Auto Start-Stop technology for added fuel savings. The 2017 Ford Edge offers available driver-assist technologies to help give you confidence on the road. Sensors and cameras mounted around the vehicle help you to be aware of vehicles or objects that are beside or behind you. Available Enhanced Active Park Assist uses 12 ultrasonic sensors to assist you in both parallel and perpendicular parking situations. You can also enjoy the added comfort of an available Lane-Keeping System and a Blind Spot Information System with Cross Traffic Alert. Of course, you will also love the availability of Sync 3, now with Apple Car Play and Android Auto capabilities. The 2017 Ford Edge was designed to make sure it not only looks good, but is also extremely functional. There are many available features that make it an excellent choice for life in the Kootenays. Available Intelligent All-Wheel Drive provides confidence in all driving conditions and you can add an available Trailer Tow Package with Sway Control. This give the 2017 Ford Edge a towing capacity of 3,500lbs. If you are loading up your Edge to head out on the road, the available foot-activated, hands-free power liftgate allows you to get into the rear of the Edge, even if your hands are full. With an ample amount of cargo space, the Edge is ready to comfortably handle passengers and cargo. 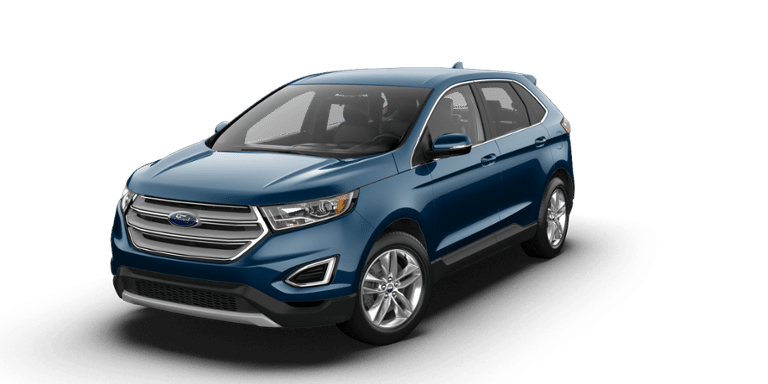 Kokanee Ford in Creston is stocked with new and pre-owned Ford Edge models to fit every lifestyle and budget. Give us a call or click here to see all of our 2017 Ford Edge inventory.